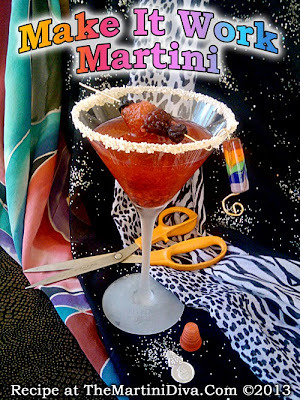 PROJECT RUNWAY MARTINI - Make It Work! Another season of fashion hi-jinks, sewing mishaps and back stabbing behavior is on. You're going to need a cocktail. CELEBRATE INAUGURATION DAY - EAT YOUR COCKTAIL! HAPPY INAUGURATION DAY, MR. PRESIDENT! The President of the United States officially begins a new term at noon on January 20th. President Barack Obama and Vice President Biden took their Oaths of Office at noon, Eastern Standard Time. This calls for a COCKTAIL! 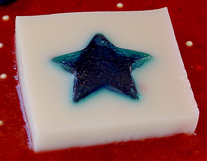 And what better than a Rec, White & Blue Cocktail? One you can EAT?? No matter what your party affiliations are, who you voted for or what you think of the State of the Union and Politicos in today's world, we should always celebrate that we have the Right To Vote and choose our leaders!!! 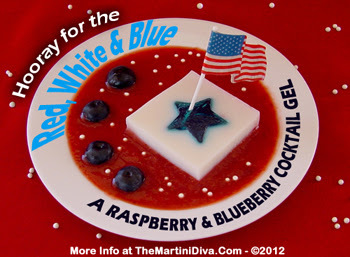 The HOORAY FOR THE RED, WHITE & BLUE COCKTAIL GEL! CONGRATULATIONS, MR. PRESIDENT & MR. VICE PRESIDENT! 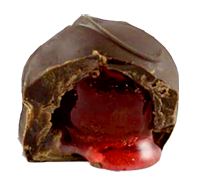 Love these creamy, gooey chocolate cherry cordial candies? Yeah, me too and I figured out how to get that experience into a martini glass. Aren't I clever? Now you can enjoy this old time classic candy in an adult way as a cocktail. Chill your cocktail glass in the freezer while you mix your drink. Add the vodkas, creme de cacao and half & half to a cocktail shaker filled with ice and shake until well chilled. 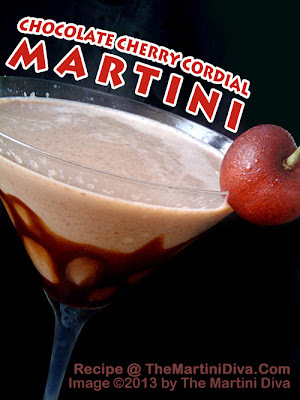 Slide the chocolate cherry cordial candy on the rim and serve. Happy Chocolate Cherry Cheers, M'Dears! There's nothing quite as warming on a cold day as a mug of Traditional Hot Buttered Rum! Here's both the traditional style and a few tweaks that are my own personal favorites when I need to take the chill off. Add the butter, the brown sugar and the spices to your mug then muddle them into a paste. Pour in the rum, top off with the hot water and mix well. HOW DO I TWEAK THIS? 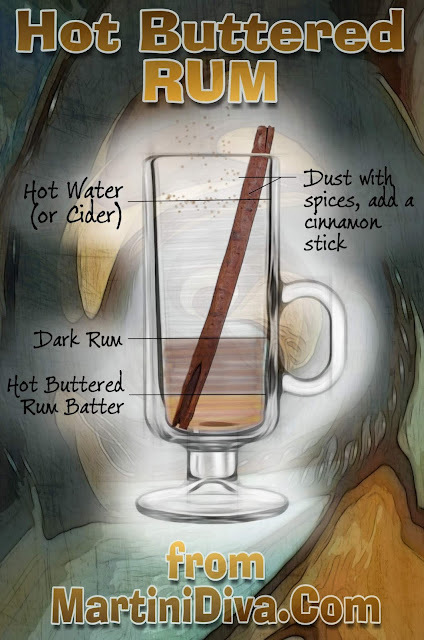 I replace the hot water with hot cider, add a pinch of sea salt and garnish with a dusting of cinnamon! 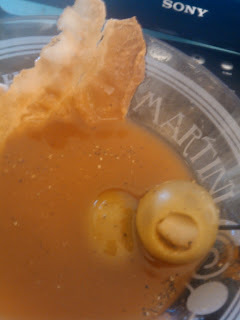 I've also tried hot pear cider, plum juice and even a mixture of citrus in place of the hot water. If you're serving this for a party, you can take this same recipe, multiply the ingredients by the number of people you want to serve (I double the number because most people will have two!) and put this all in a crock pot to keep warm for your cold weather happy hour! I also often prepare the Hot Buttered Rum batter ahead of time because that way it's faster to make additional drinks later. To do this I simply multiply the butter, spices and brown sugar times twice the number of drinks I'm planning on serving. Why twice? Because it lasts several weeks if refrigerated AND this Hot Buttered Rum batter is great on toasted pound cake slices to serve with the drink! It's also perfect on pancakes and waffles. Now, grab your rum, butter and spices and go warm up your soul! 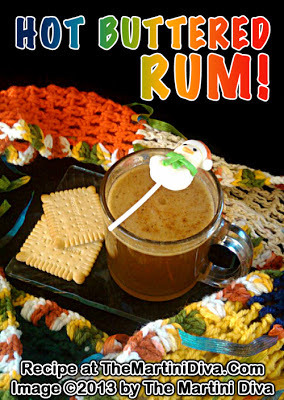 National Hot Buttered Rum Day is January 17th.